Emmanuelle Auriol studied Economics at the University of Toulouse I where she received her PhD in 1992. After spending one year at the University of California at Berkeley as a post-doc she joined the Economics Department at Toulouse. She passed the French economics aggregation in 1996 and she spent 2 years at the University of Aix-Marseille II. Since 1998 she has been a professor at Toulouse School of Economics. She is a fellow of the EEA, CEPR, EUDN, and CESifo and a member of the IUF. 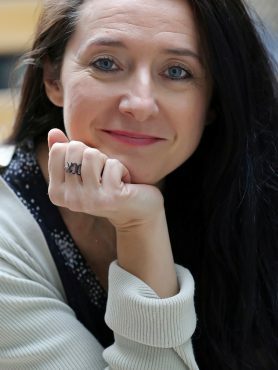 She is also an associate editor of the Berkeley Electronic Journal of Economic Analysis and Policy (BEJEAP), of the Journal of Economics, of the Annals of Public and Cooperative Economics, of Annals of Economics and Statistics, of the Revue d’Economie Politique, and of the open-access E-Journal economics. She is a member of the editorial advisory board of the International Tax and Public Finance (ITAX). Her research interests include industrial organization, regulation, labor economy, collective decision making and development economics. She relies both on theory and empirical studies to derive policy recommendations on industrial organization issues such as privatization, regulation or markets design. Since in practice policy implementation matters as much as policy design, she also studies incentive in public organizations and government structure. Her research has been published in the American Economic Review, Economic Journal, Journal of Development Economics, Rand Journal of Economics, Journal of Labor Economics, Journal of Public Economics, International Journal of Industrial Organization, and many other peer-reviewed journals. Emmanuelle’s research has also been featured in stories in the Journal Le Monde, Expansion, the Financial Times, Die Welt as well as on television and radio. Throughout the years she received several grants and awards for her research.